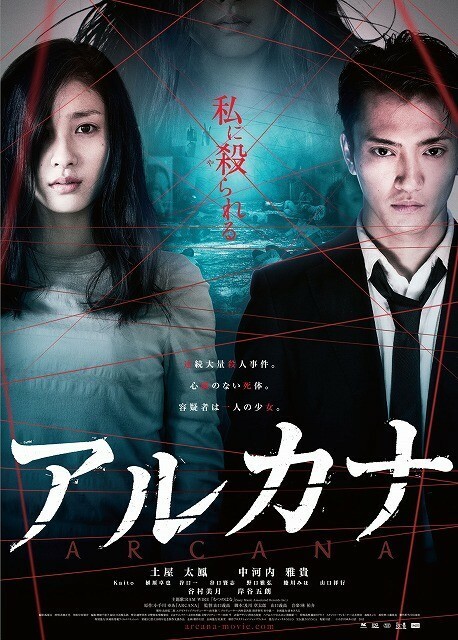 For the last few years I have reviewed a J-horror film or something twisted for this blog for Halloween. Well, I was reviewing lots of J-horror anyway but I would only write about something really good, usually from my favourite directors like Nightmare Detective (Shinya Tsukamoto) and Strange Circus (Sion Sono). This year I will review Penance directed by Kiyoshi Kurosawa. It was originally broadcast on the Japanese TV station WOWOW in five parts. A shorter version running at 270 minutes toured western film festivals like Venice and the East End Film Festival so it could be watched in one go. It has picked up for distribution by Music Box Films for release in the UK/Canada and US some time next year. I have watched the original episodes made for Japanese TV. Penance is a five-episode TV drama based on Kanae Minato’s 317 page novel of the same name (Minato also wrote the novel which the film Confessions is based on) and is Kurosawa’s follow-up to the magnificent Tokyo Sonata. Emiri Aachi is an elementary school student whose family have moved from urban Tokyo to sleepy Ueda due to her father’s work. She makes friends with four girls named Sae, Maki, Akiko and Yuka. Emiri is the fashionable one who has all of the latest things and she brings some excitement into the lives of the girls but strange things are going on including the theft of French dolls. One day when the five girls are playing volleyball at school they are approached by a man dressed in work-clothes. He has been watching them intently and asks for their help in repairing the ventilation system in the school gym. A quick trailer post today to cover two films released on Halloween in Japan, thus reducing the load of trailers on Saturday. The films look like counter-programming for a weekend packed with big Hollywood/US (2 Guns, Behind the Candelabra) and Japanese releases (the latest SPEC film). 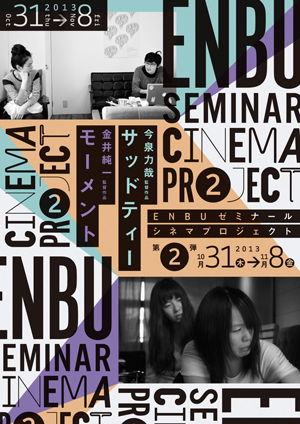 Both are made by colleges connected to the Enbu Seminar/Cinema Project and were exhibited at the Tokyo International Film Festival. They are full feature films and not shorts and they come with experienced directors helming the projects. A love story about a group of people including an idol, a shop clerk and a salaryman who hangs out at a coffee shop. Will they meet the loves of their lives? The poison was real and Locke really is dying. Holy crap! Worse still, there weren’t any clockwork maids! DAMN! I think it was a sweet seeing the mischievous Carlo and Galdo and the fatherly Chains. A bit of happiness before the tragedy. It was also very necessary for our understanding of how tight knit the GB’s were with each other and what a loss for Locke and Jean it was when the Falconer and company butchered the Sanza’s and Bug. Every fragment of background information helps add context and colours the character’s behaviour so when Locke and Jean say they hate the Bondsmagi we know why. I posted a report about a new poster and a teaser video for the live-action Kiki’s Delivery Service on Anime UK News yesterday (sourced from Anime News Network) and while the teaser video doesn’t reveal much it is a good chance for us to get reacquainted as the film’s theatrical release of March 01st, 2014, creeps closer! Reviews? Well I wrote two this week, both for a Kore-eda film. The first was for Like Father, Like Son and the second was for I Wish. Both films are rather good and I’d urge anyone unfamiliar with Japanese cinema to watch them. What films are released in Japan/Tokyo’s (art house) cinemas’ today? This film looks interesting because it looks like the first of two omnibus films with a wrap-around story about the search for a film inside the films in the film…. Still with me? With this Question Version of the film, the audience then gets to answer some questions posed by the film by submitting an answer sheet. The second film, released next month, answers all of the questions in the Answer Edition. It brings together some good (most of the time) directors who handle a different film which a detective scours for a secret. So we have Yoshihiro Nakamura (The Foreign Duck, See You Tomorrow, Everyone) probably doing drama, Norio Tsuruta (Ring 0: Birthday, Dream Cruise) probably doing horror and an unknown in Daiki Ueda. 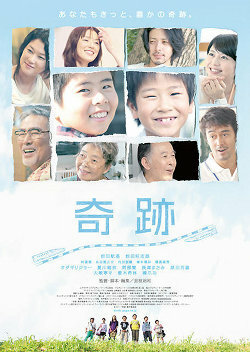 There is a group of decent actors including Haruna Kawaguchi (P.O.V. – A Cursed Film) who plays the super car driving fox Madame Marmalade, Atsuko Takahata (Bunny Drop), Tamae Ando (Noriko’s Dinner Table, April Bride), and Hajime Yamazaki (Swallowtail Butterfly, Crime or Punishment?!?). 30 years ago, Shunnosuke Todo, the master of the film world revealed to his wife that there is a secret in three shot films which contained a love story before he passed away. Now his wife is on the verge of death so she hires Madame Marmalade (Kawaguchi) to find the secret! The Nonomiya family are happy. 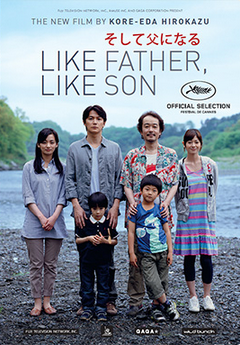 Ryota (Fukuyama) is a stern and demanding father and a successful architect dedicated to his work while his loyal wife Midori (Ono) dotes on their adorably cute six-year-old son Keita (Nonomiya). The three live quietly and comfortably in a luxurious apartment. Although Keita seems to lack his father’s qualities of determination and ruthlessness, he is a studious, quiet and loyal son who idolises his father and tries to emulate him. 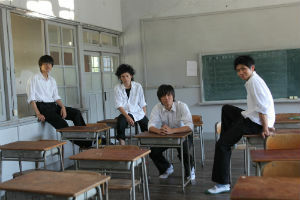 With Keita about to enter Ryota’s old school, life seems to be going according to plan. Then Midori receives a phone call from the hospital where she gave birth to Keita six years ago informing her that their child was switched with another male baby and that their birth-son is with another set of parents. This news shatters the Ninomiya’s certainties and the hospital insists that both sets of parents meet. Enter the Saiki family led by confident hard-working mother Yukari (Maki) and scatter-brained father Yudai (Franky). They are the polar-opposites of the Ninomiyas, Yudai runs a down at heel electronics store while Yukari works at a fast food parlour. Working class but still decent folk, their parenting style is more laid back than the Ninomiya’s which has produced three uninhibited children who are ebullient and fizzing with energy. This is who Ryota and Midori’s birth-son is with. Given the name Ryusei (Hwang), he is the eldest of three children and is the complete opposite of Keita, outgoing and tougher, he is a rough but good-natured child. At the hospital’s insistence the parents’ initiate a twelve-month period where they get to know each other and try exchanging boys. Keita seems to take to the Saiki family easily but Ryusei’s brash temperament clashes with Ryota’s strict attitudes. Now both couples face a difficult decision over whether to hand over their sons who they have carefully raised for the last six years and take back their biological son or not. Mitsuki Tanimura (Thirteen Assassins), Tao Tsuchiya (Tokyo Sonata) Goro Kishitani (One Missed Call) star in an adaptation of Yua Kotegawa’s manga of the same name. It is directed by Yoshitaka Yamaguchi and he has been an AD on Miike films. 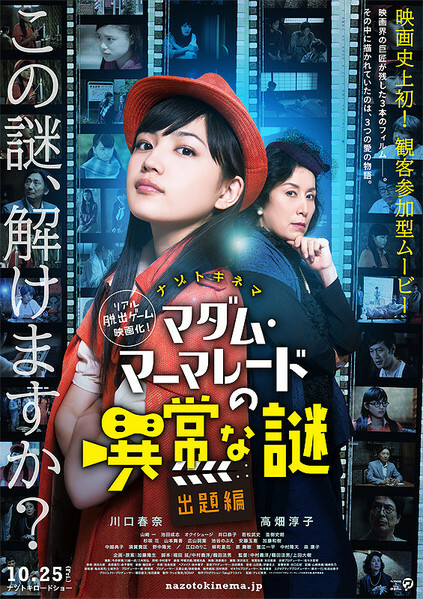 Detective Murakami (Nakagauchi) meets a girl who has the ability to speak to the dead but suffers from memory loss and can’t remember her own name so he calls her Maki and the two work together to solve a murder case involving a mad bomber. Somehow, Maki’s true identity is linked to the case. It is a balmy summer and Haruki (Kawagoishi), a rather quiet and reserved high-school student, is on the cusp of graduation. He lives in a small and quiet country town and his days are pretty uniform. He awakes in a group home and gets ready for school helping the other kids there as well. With his school bag packed and his iPod fully charged, he heads to school listening to music and dutifully does his lessons before going to work at a convenience store and then heading back to the home and helping out around the place, all with his iPod creating a soundtrack for him. The one person or thing he really cares about most is Nao (Kita), a deaf girl who has lived in the same orphanage since they were young children. They are devoted to each other and with graduation on the horizon Haruki has a plan for their future mapped out: he intends to use the money he has saved from working at the convenience store to buy a place for the two of them to live in together. Enter classmate Aki. He is a wild-haired drummer in a rock group in need of a guitarist. 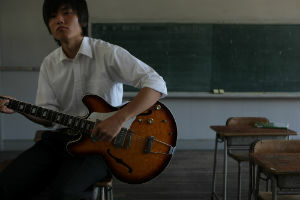 Aki asks Haruki to play guitar and even though Haruki has never touched one in his life, Aki is persistent because Haruki is left-handed and left-handed guitarists (Hendrix, Cobain, McCartney) are cool and the band needs cool more than it needs technical skill. Haruki can learn this stuff, right? Haruki is initially reluctant but Nao pushes him because she knows of his love for music. As Haruki plays with the band it widens his horizons as he spends more time with others practicing and performing at concerts and gaining fans but as Haruki becomes more devoted to music Nao feels a growing distance between them and becomes unhappy as the music steals Haruki away. 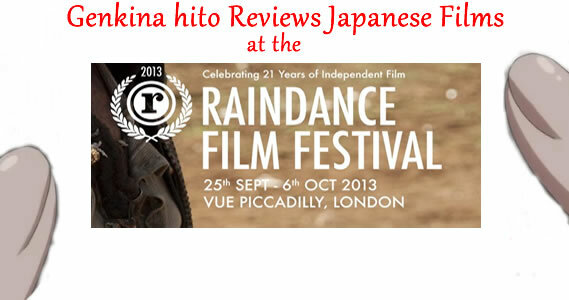 I’m back in London at another film festival a week after this year’s Raindance Independent Film Festival finished. The thing about this festival is that it screens titles that would be hard to find even in their native countries. Indie films that would have a narrow release, usually in a capital city (Tokyo, London) and perhaps at some regional third-tier film festivals. If I had to describe the titles I watched with simple words then I would use confident and stylish. Every story was told with an assured skill and was highly absorbing. The only downside was the small turn-out for each of the films I attended. It was most disappointing during the Remiges screening because I played a part in getting it into the festival and the director came all the way from Japan to perform a Q&A! The most positive thing is that I met friends and watched excellent films that have shot to the top of my favourite films of the year list – oh how I loved watching Shady, The Kirishima Thing, and Remiges – and I’ve become immersed even more in cinema culture. Even more immersed in the culture? The Kirishima Thing is a teen drama featuring a collection of bright young things of the Japanese acting world that show they are a new and strong generation of talent. 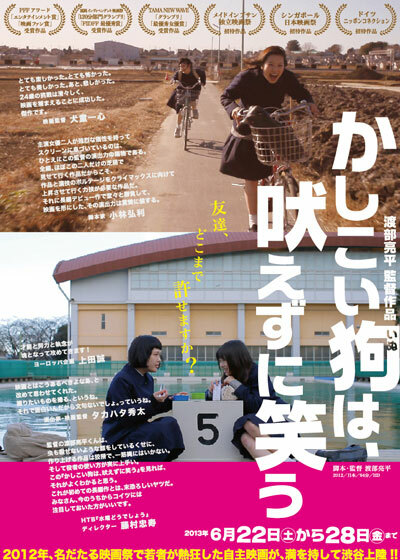 Its depiction of the social mores and strata in high school is well-observed and real and for its efforts it was the big winner at the recent Japanese Academy Awards scoring Best Film and Best Director prizes. I already watched and reviewed it before the festival so expect a re-review or lots of picture/Gifs. When high school volleyball star player Kirishima quits the team shockwaves are sent through the school. This is the story of the students surrounding Kirishima from his friend Hiroki Kikuchi (Higashide), girlfriend Risa (Yamamoto), Aya (Ohgo) a brass band musician with a crush on Kirishima, badminton player Kasumi (Hashimoto), and the president of the film club Maeda (Kamiki). The students will cross social boundaries and defy groups as they attempt to redefine themselves. I’ve been hyped for this ever since seeing at on Alua’s blog back in January. This film was released in June 2013 and it has been wowing critics and distributors (Winner of the Entertainment Award at the PIA Film Festival) and has been picked up by Third Window Films for the UK. This was my film of the festival. 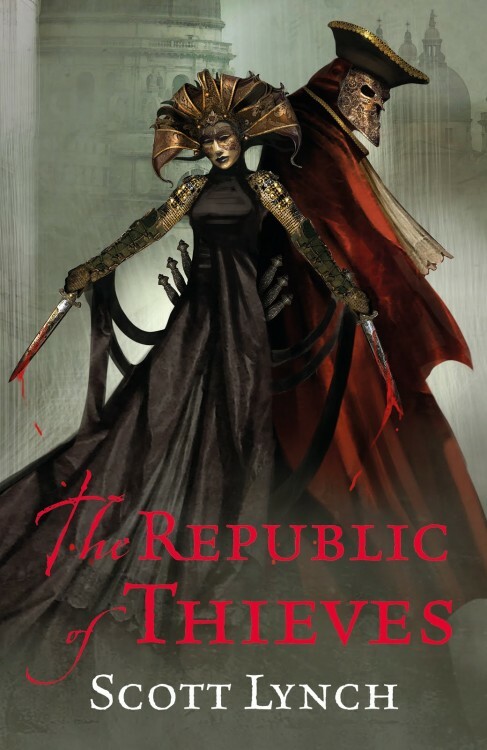 It was a genuinely unexpected treat that kept me hooked from start to finish. I want the soundtrack as well! Misa Kumada (mimpi * β), an outcast at her school who is mercilessly teased and has no friends. She hates the place but when the popular and pretty Izumi Kiyose (Okamura) befriends her the two develop bonds of friendship. What Misa doesn’t know is that the seemingly angelic Kiyose has quite a dark side.